Autodesk has announced the release of Revit 2019.2, the first update to Revit 2019. One of the most-touted updates in 2019.2 is a greater shift to cloud computing. Cloud Models for Revit is a new feature that automatically synchronizes BIM 360 and files saved to your desktop, eliminating the need to manually upload files to share them. 2019.2 also lets users store Revit models in the cloud without needing to workshare them, a useful feature that enables individual users to store their models on BIM 360. 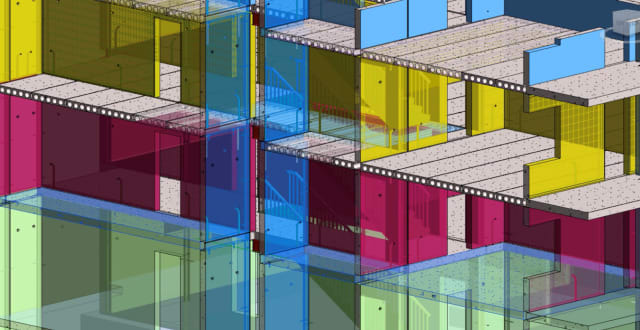 At the same time, Autodesk has released a preview of its Cloud Model Upgrade, which lets BIM 360 project admins automatically update cloud-stored files to the latest version of Revit. The upgrade means that admins can change file formats with the click of a mouse, rather than needing to go into the files and manually change them. The current preview changes projects from Revit 2018.3 to Revit 2019 format. Another update concerns Site Collaboration, the Civil 3D terrain to Revit topography workflow the company introduced back in Revit 2019. In 2019.1, the tool let users link topography from Civil 3D into Revit. Now, it’s been updated so that users can place building pads and subregions on complex surfaces. The update also includes better automation of the design-to-fabrication process for concrete. Extended CAM Export lets users connect cast-in-place/precast concrete projects to automatic fabrication processes, and the Custom Fabric Sheet (CFS) feature enables users to automatically convert reinforcements into custom fabric sheets to help automate the design-to-fabrication process. There are also more families of hollow concrete slabs, with 13 additional kinds of precast hollow-core slabs. In addition, Revit 2019.2 features two smaller improvements directly from the user ideas page—the addition of a zoom function in schedule views, and the removal of the “Element is too small on screen” warning. The first feature lets users look more closely at their schedules without straining their eyes, while the second lets them move objects very short distances without any interference from the program.